The adorable little Bashful Bunny may be holding on to one edge of the soother, but he's just waiting to share it with your baby. 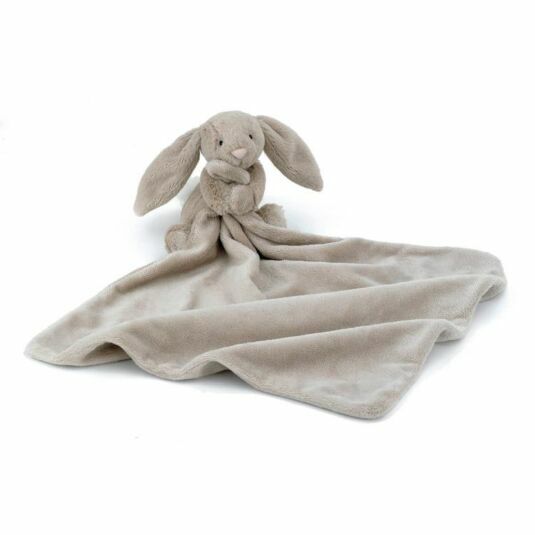 The soother (attached to the bunny's arms) is made from luxurious super-soft beige fabric and is ideal for providing comfort for your little one. There is a beige ribbon to tie the blanket up when not in use, making it easy to carry around with you. 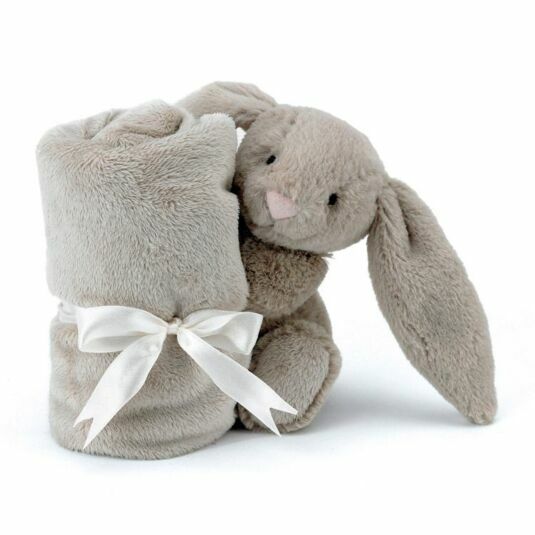 With this cute bunny rabbit's floppy ears and cute white tail, your child certainly won't want to leave home without it.